Gorgeous small pieces of tumbled Kyanite, measuring 20-30MM approximately. Kyanite tumblestones are a lovely stone to look at. The polishing really brings out the grey / green / blue that always reminds me of the ocean. We sell these pieces as single stones, because they are quite pricey. These stones measure between 20 and 30MM at their longest point – there is some variation in shape and size due to the forming process, and, of course, natural variation in the colour and quality of the stone. 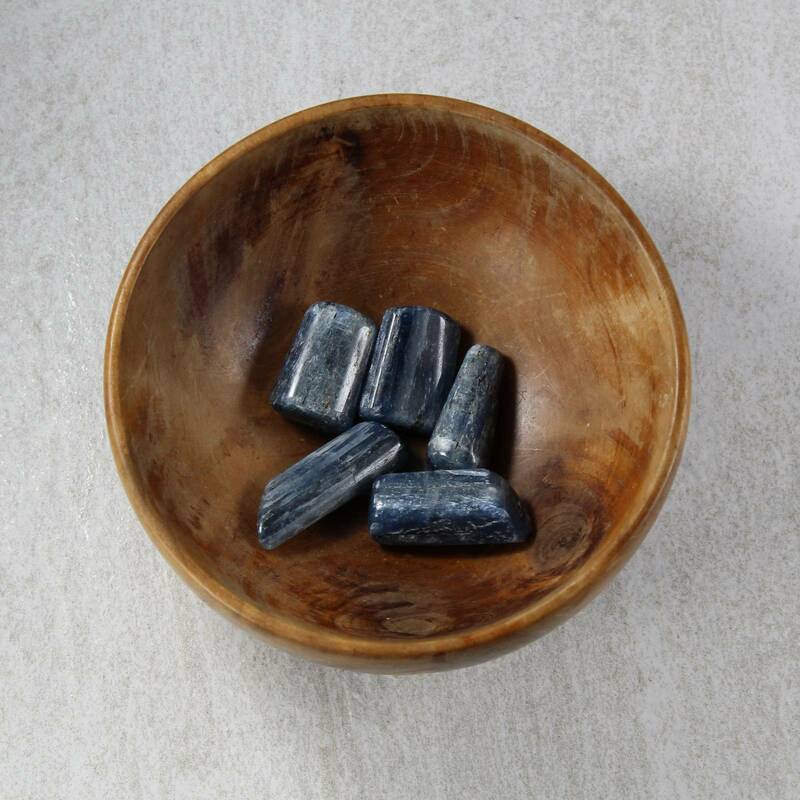 Kyanite is not typically sold tumbled – it is usually sold rough, or cut into cabochons or carved into decorative shapes. Higher quality transparent pieces are sometimes faceted for use in jewellery. 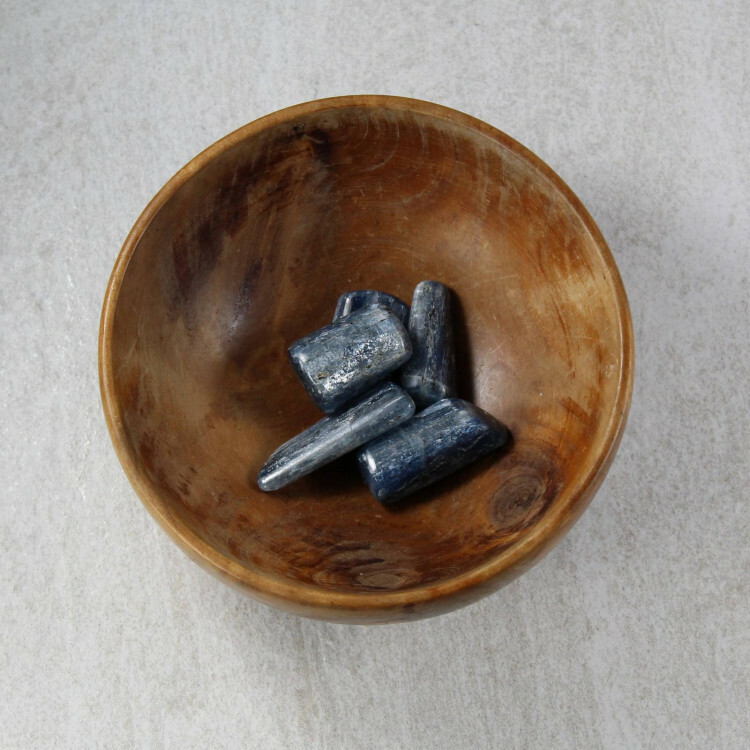 We sell a range of Kyanite products, including tumblestones, carvings, and rough Kyanite.